Kim is our new Front Desk Coordinator! She began mid August and is already mastered many aspects of this crucial role. Kim’s attention to detail and lively personality are an asset to the organization. 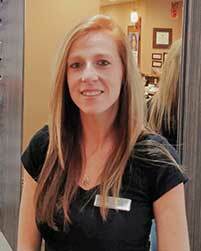 She enjoys chatting with patients and is quick to assist all who walk through our doors.